America’s Finest Kickball League (Boston Chapter) has opened registrations for their spring season, which will begin on Sunday, April 29th. All are welcome to join the free pick up game the week before on Sunday, April 22nd at Moakley Park in Dorchester at 11AM – just be sure to RSVP, here. The spring season starts on April 29th and runs through July 15th and all are welcome – join with friends or on your own. Registration is only $75 until Thursday, March 22nd, but after that their “Early Bird Special” ends and registration is $85. 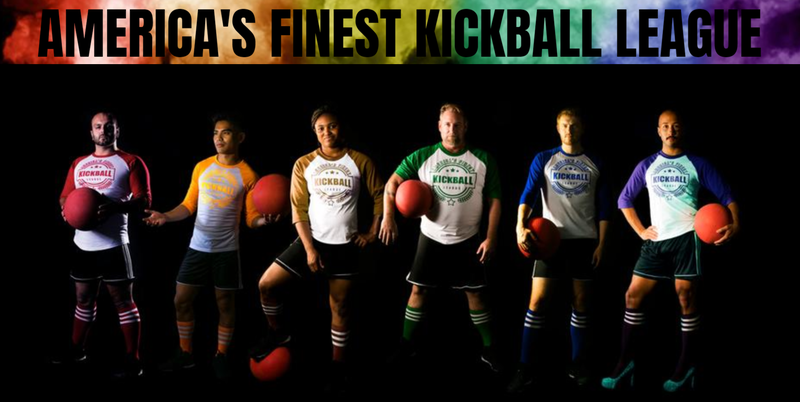 America’s Finest Kickball League is looking to close their spring season registration by April 16th so don’t delay. If this sounds like something you’d like to try, I encourage you to reach out to America’s Finest Kickball League. You can learn more about them by visiting them online at gaykickball.com/boston or by liking their Facebook page, America’s Finest Kickball – Boston. This entry was posted in gay club or team, Sports and tagged BosGuy, Boston Guy, Gay, Sports. Bookmark the permalink.